You will commence your luxury charter adventure in Antigua where you will land at the V.C Bird International Airport operating a number of international and local flights. After lunch taken aboard your luxury charter catamaran or luxury charter mega yacht comfortably docked in Jolly Harbour on the island’s south-western coast, you will sail north to Deep Bay. Drop anchor in sparkling waters and take out your snorkeling gear to explore the wreck of Andes, a cargo bark from Trinidad sunken nearly 100 years ago. After a thrilling afternoon, enjoy a refreshing cocktail on the aft deck of your luxury yacht as you admire the sun setting over this Caribbean paradise and leaving it bathed in warm hues of reds, pinks, oranges and yellows. Step off board to spend the evening on the beach and savor a magnificent freshly prepared island dinner accompanied by live calypso music of African and European roots. Wake up to a marvelous Caribbean sunshine and step on the aft deck of your luxury charter powerboat or luxury charter catamaran to enjoy a traditional breakfast consisting only of fresh products. You will sail south along the west coast and next head to the east leaving Cades Reef with dazzling transparent blue waters behind you. On the island’s northern side is a plush tropical rainforest inhabited by luscious exotic species. 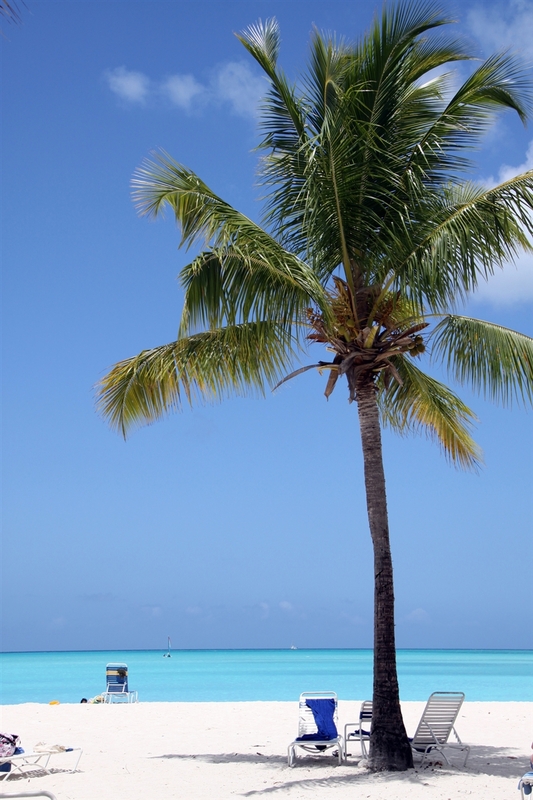 Make sure to spare some time to anchor in Carlisle Bay for a refreshing swim or snorkeling. 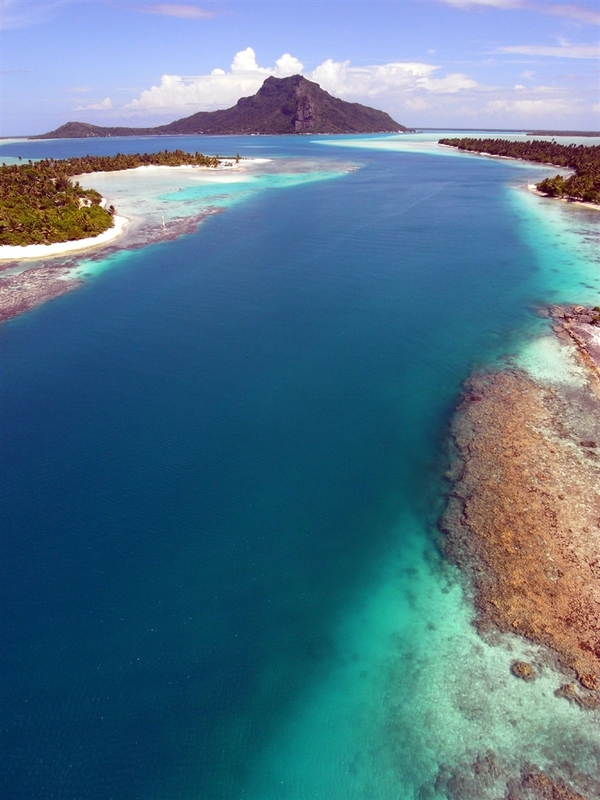 This safe harbor is protected by verdant bluffs and features unspoiled brilliant turquoise waters. After this short stop, sail on to English Harbour where anchorage is available either off Galleon Beach in the heart of the island’s National Park, lined with pristine sands and immense palm trees, or in Nelson’s Dockyard, the only remaining working Georgian Dockyard in the world. The facility itself attracts yachtsmen from all over who marvel at one-of-a-kind Colonial buildings nestled in dense Caribbean flora. You can choose to dine onboard or visit one of the numerous restaurants specializing both in international and regional cuisine. English Harbour is a historic port of entry and the main town in this part of the island that has plenty of sightseeing in store for you. Enjoy breakfast onboard which will give you ample energy to hike up the Lookout Trail that will have you walking through winding trails lined with dense tropical flora with warm sunrays pushing through imposing leaves and branches. 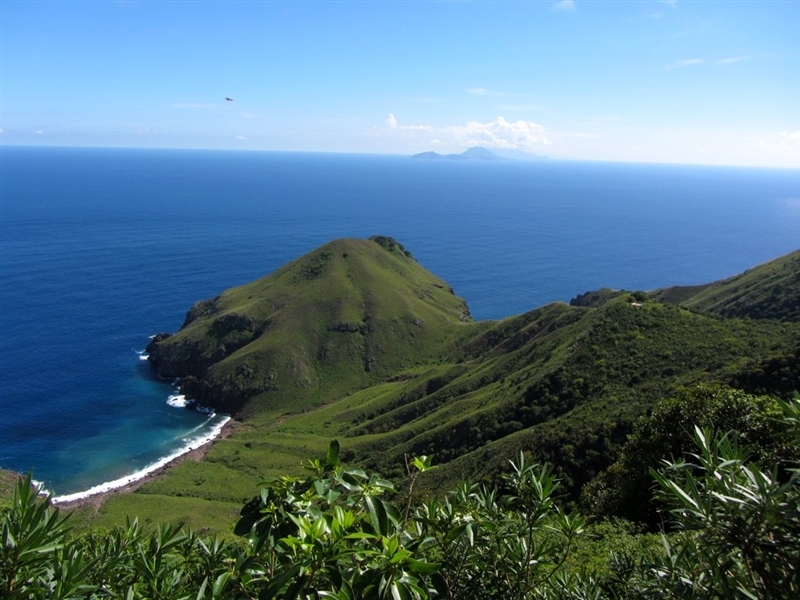 After a picturesque hike, you will reach Shirley Heights Lookout, undeniably the most famous panorama on the island promising baffling views of stretching deep-blue waters home to luxury yachts and verdant slopes with houses quaintly plunged between imposing trees. If you happen to be in Shirley Heights on Sunday afternoon, you will be able to participate in the best party on Antigua coupled with excellent food, astounding views and magnificent live music featuring Soca, Reggae and Calypso rhythms. Take the Lookout Trail back to spend a relaxing afternoon or evening on the beach before stepping back onboard. Sparkling waters of the warm Caribbean Sea beckon guests to explore rich marine life while swimming or snorkeling. You may also want to take out the water toys available onboard. After a refreshing bath, opt for some beachcombing and listen in to soft whispers of palm trees pleasantly caressed by soft winds and soak in magnificent Caribbean entourage. Today is your last day in Antigua and you will say goodbye to the island in Five Islands Harbour, just south of Deep Bay. Your luxury charter catamaran or your luxury charter mega yacht will sail swiftly along the island’s southern coast to reach Five Islands, a beautiful protected bay boasting magnificent powdery beaches with waterfront bars offering fresh cocktails, island meals and live entertainment. Anchor just off nearly deserted Hermitage Beach that only a few lucky ones know about and choose to visit. This white stretch of powdery sand is simply remarkable for sunbathing, beachcombing or picnicking while undisturbed crystal-clear waters are perfect for swimming, snorkeling or fishing. Spend the evening onboard and dine on the flybridge or the aft deck of your yacht. Top the succulent meal off with a delicious drink and star-gazing in this unspoiled slice of paradise. Depart early in the morning to set sail west towards Nevis and while cruising sleek crystal waters, take out your fishing equipment because you might just be lucky enough to catch a 5 lb tuna that your Chef will prepare for lunch or dinner. The cruise will take a couple of hours and during that time you will have the opportunity to bask in the sun on the foredeck or the flybridge of your luxury charter power yacht or enjoy reading a book on the aft deck while sipping on a freshly squeezed orange juice. You will reach Nevis late in the afternoon and your Captain will find anchor in the five-star Four Seasons Resort with top-notch amenities and services including four restaurants, an outdoor Jacuzzi and a spa to ignite the five senses. Step ashore to dine in one of the elegant restaurants and take a walk down the beach before heading back onboard by dinghy. Today you will have time to explore Nevis, a genuine paradise for all nature amateurs who will marvel at the richness of wildlife on the island and in the waters surrounding it. After breakfast, swim, snorkel or dive around one of the many wrecks or natural reefs inhabited by a wealth of sea life. If you are one of the guests more interested by man-made history, you will have the chance to try your luck at archaeology or explore omnipresent ruins of ancient sugar plantations, an archaic lime kiln, or Amerindian sites. Regardless of how you choose to spend your day, there are many hiking trails for everyone to explore during their time on Nevis and couple them with rainforests, reefs and ruins, you are sure to spend a simply unforgettable day. 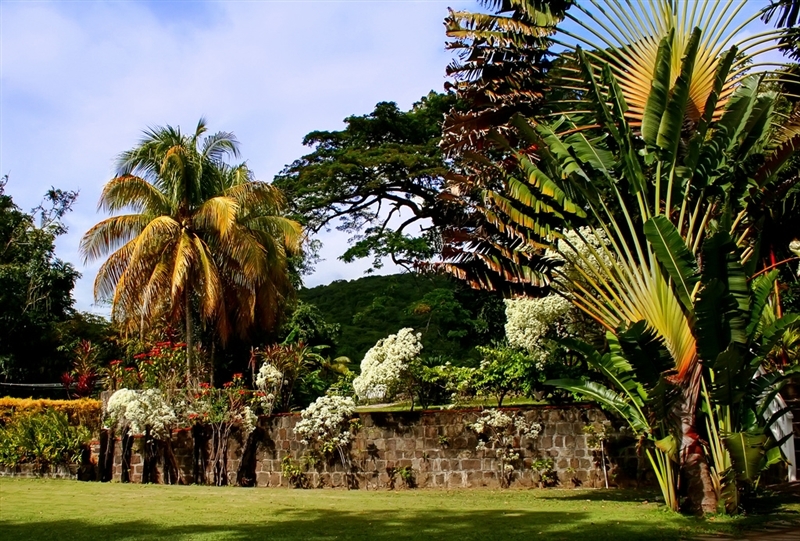 Visit the Botanical Gardens of Nevis created only a few ago by a couple who hoped for something of great beauty to preserve flora from all over the world. They chose a magnificent spot on Montpelier Estate for which Nevis Peak visible from a distance is a terrific backdrop. The gardens are carpeted with sculptures, fountains as well as a replica of a Great House and are bedded with roses, orchids, scented fruit trees, cactuses and vines. The most spectacular feature of the gardens is a tropical rain forest conservatory mimicking the conservatory at Kew Gardens in England and housing a plethora or tropical plants and Mayan-style sculptures. Get ready for another adventure in the Caribbean on your luxury charter vacation with Sunreef Yachts Charter. You will make your way up north to the island of St. Kitts, one of the two comprising the country of Saint Kitts and Nevis. 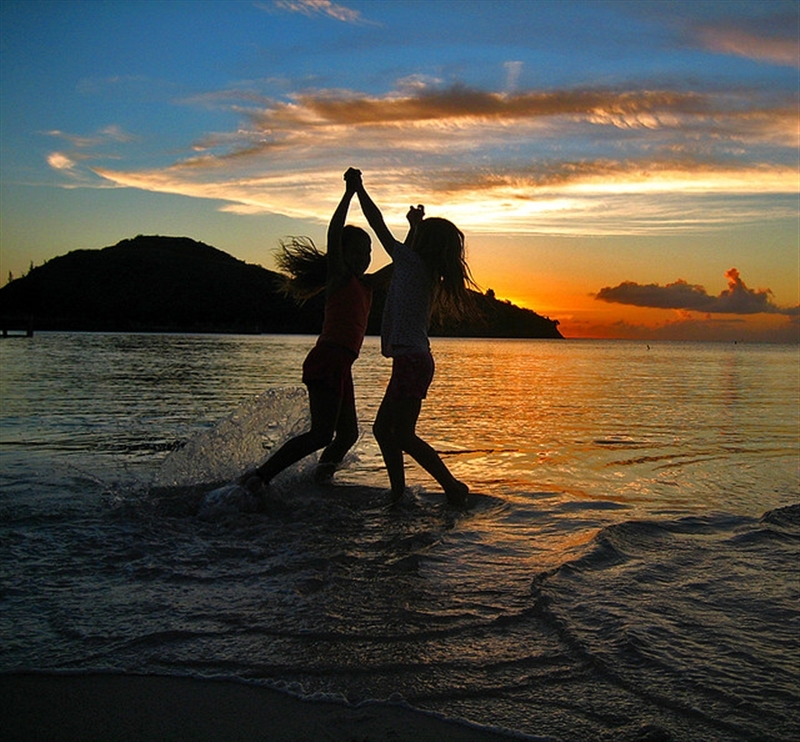 The island is blessed with a number of beaches for you to explore, whether you wish to escape from it all on one of the secluded coves or dance the night away with locals and visitors from all over the world on one of the many beach parties. At the island’s southern tip and facing Nevis lies Banana Bay, a charming secluded beach boasting pristine waters, powdery sands and swaying palm trees and leaving guests in instant awe of a tranquil ambiance reigning throughout the beach. Sail around this part of the island and head westward to reach Frigate Bay- South, the most action and fun-filled beach on the Caribbean Sea, where the party never stops. This one-mile stretch of powdery sands is a haven for swimmers, snorkelers, windsurfers, water skiers and other aquatic-adventure enthusiasts, but it is also lined with numerous beach shacks which are island bars serving food, drinks and talismans accompanied by rhythms of Reggae and Calypso music. Wake up to a magnificent sunrise on the island of St. Kitts and enjoy breakfast aboard your luxury charter yacht before continuing to explore the island, swimming or snorkeling in transparent azure waters. 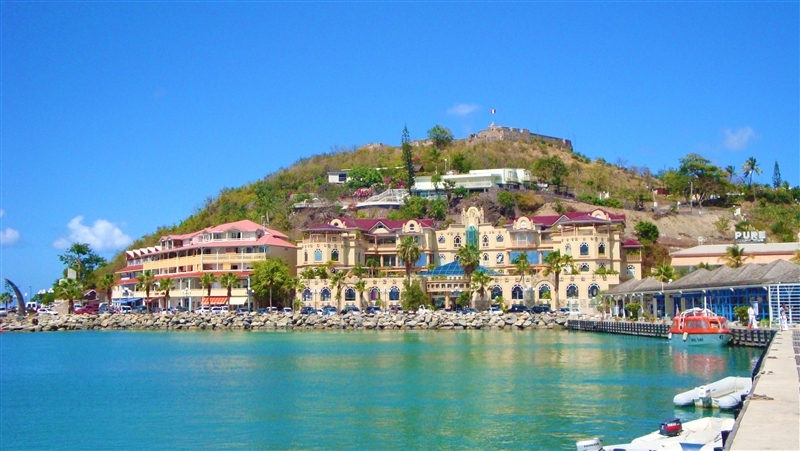 You will have time today to dock in Basseterre and visit the island’s largest city with a population of 15,500. 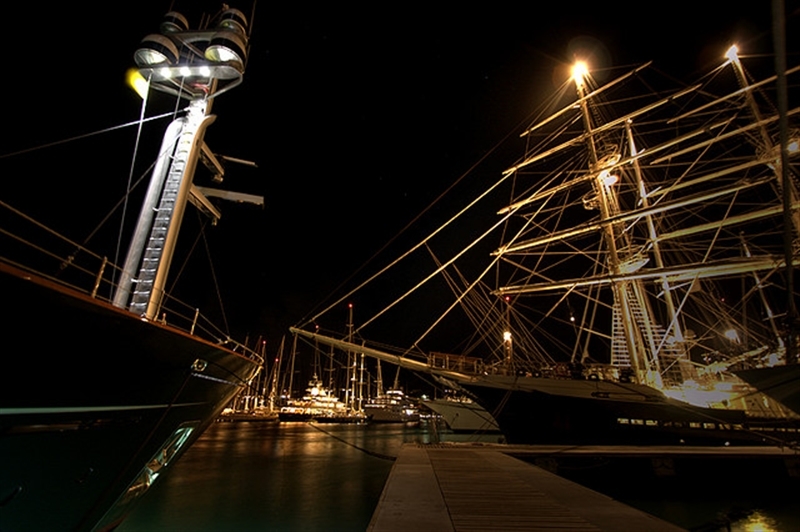 The marina in one of the oldest towns in the Eastern Caribbean is a modern facility not only for luxury charter mega yachts and luxury charter catamarans but also for large cruise ships sailing in the region. Although the town is compact, it is a very charming one with perfectly angular streets and two city centers. The Circus is a tourist attraction while Independence Square houses a cathedral, a courthouse and most of the ancient buildings on the island. Basseterre is the country’s main port of entry, both for air and sea travel, and St. Kitts’ commercial and industrial hub, with headquarters of banks and financial institutions. The town holds many historical monuments relating to the island’s turbulent past involving sugar plantations and slavery. 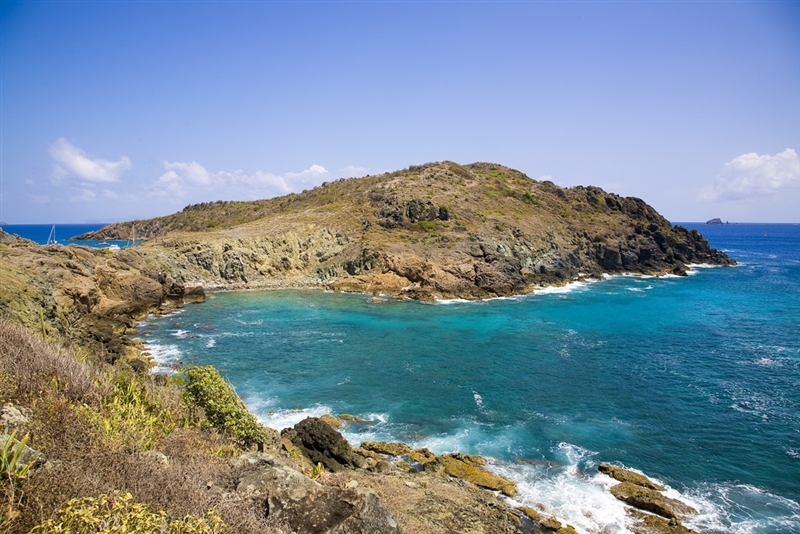 Prepare for a thrilling sail up north to the French island of St. Barts, one of the principal ports of call on the Caribbean charter circuit. Catch wind in your sails as your Captain swiftly navigates your luxury charter yacht to this blissful destination. Enjoy sunbathing on the flybridge of your luxury charter catamaran, the fore deck of your luxury charter powerboat or on the aft deck of your luxury charter mega yacht. Take out the fishing equipment from the toy chest and prepare for big catches of the day that the Chef will prepare for lunch. Dock in the main town of Gustavia and enjoy a pleasant evening ashore in one of the many restaurants specializing in French or Creole cuisine. Even the most discerning palates will find something for themselves on this unique island! Discovered by Christopher Columbus in 1493, the island was named after his brother Bartolomeo and later settled by the French in mid-17th century. St. Barts was under the French rule for another century before it was unexpectedly sold to Swedes who turned the island into a free port and established the main town of Gustavia, named after the Swedish king. Repurchased by the French in the late 19th century, St. Barts rests to this day a wonderful blend of Creole, French and Swedish influences leaving the island painted in a wonderful mingled local-color palette. 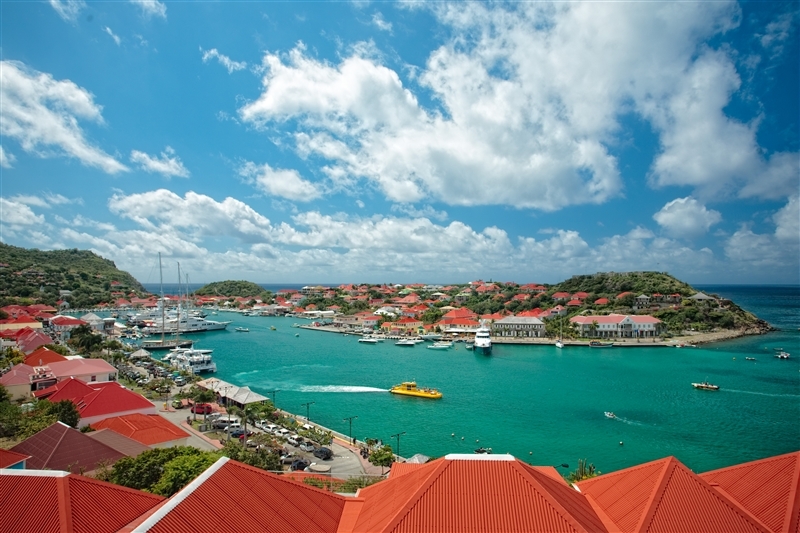 Gustavia, a horseshoe shaped safe haven, boasts ample duty-free shops, elegant boutiques, historical monuments, magnificent landmarks and breathtaking venues. Take your time to stroll down the harbor receiving the most luxurious charter yachts in the world and the city center lined with colorful Colonial facades. Visit typical restaurants or cafes for an afternoon coffee and the sheer pleasure of soaking in an enchanted ambiance. You may also want to rent a Mini Moke to visit some perfectly powdery beaches on the windward side of the island for blissful island relaxation or choose to go inland to explore exotic flora and fauna and admire breathtaking views. There are many luxury resorts and villas quaintly nestled in plush verdant vegetation of the island luring guests who desire nothing more than a serene vacation. 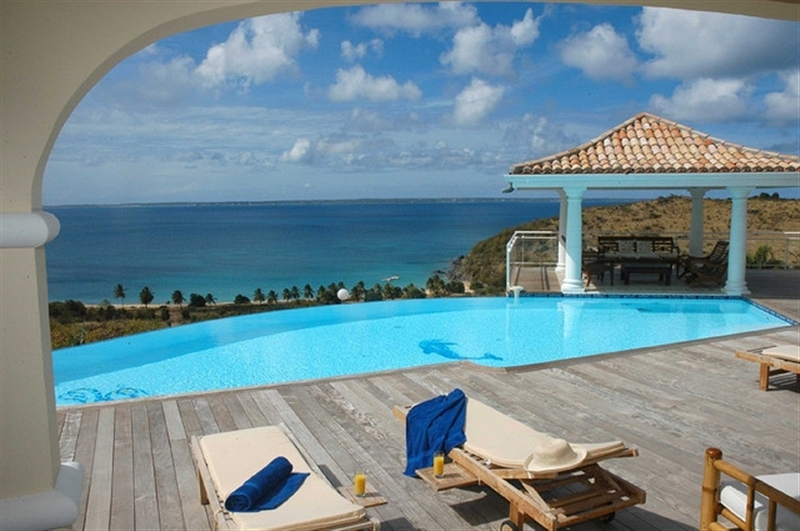 Another worthwhile destination on St. Barts is St. Jean located north-east of the principal town. The island was once protected by a large canon battery towering in the middle of the bay in St. Jean. The town is the site of the island’s first hotel built in mid 1950’s and to this day, it attracts jet-setters from all over the world. After an awe-inspiring visit to St. Barts, today after breakfast you will head to another show-stopping destination in the Caribbean, Anguilla. 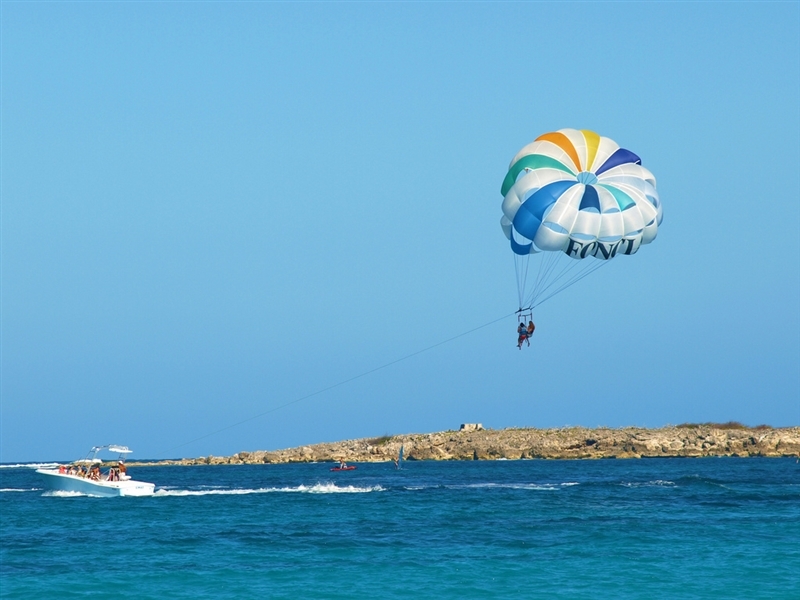 You will admire panoramic views of these minuscule idyllic islands as your luxury crewed catamaran or luxury mega yacht passes by St. Martin. Sunbathe on the flybridge of your luxury vessel, read a book on the aft deck or chat to the Captain about your next port of call. You will reach southwestern Anguilla in the afternoon and your charter yacht will find safe anchorage in Road Bay in the village of Sandy Ground, the island’s main harbor. Although with a humble population, the village boasts a long curved beach backdropped against majestic verdant bluffs and a salt pond. Spend the day on Anguilla, a British overseas territory whose name derives from the word “eel” in any of the Romance languages and reflects the island’s eel-like shape. Colonized by the British in mid-17th century, Anguilla was almost entirely under British rule throughout its Colonial history, not counting a short episode of French hegemony. Take a short trip to Sandy Island and find safe dockage between one of the coral reefs to the west of the island, where you will swim, snorkel, beach comb for shells or soak in warm rays on pristine white sands. This is a promise of another day in an utter tropical paradise! 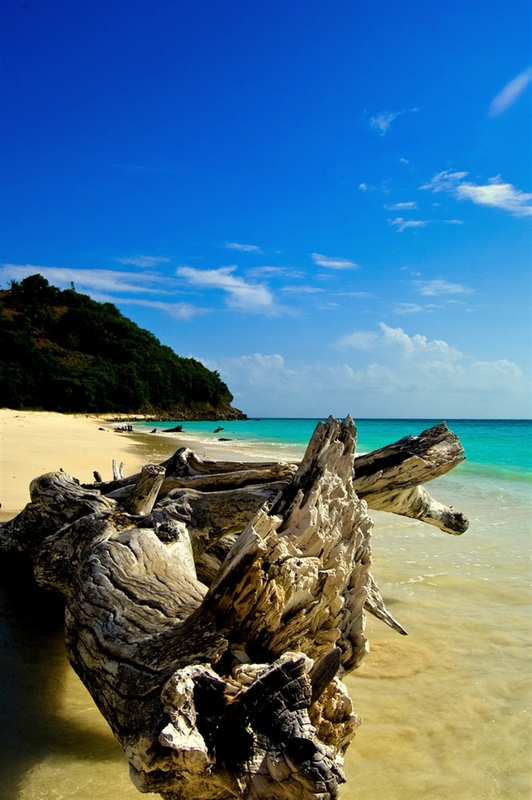 Anguilla is home to some of the world’s premium beaches featuring wonderful beach bars. Visit Johnno’s Bar in Sandy Ground where bar tenders will serve you freshly prepared cocktails topped with traditional snacks. The bar itself has been the staple for Anguillan dance scene for as long as anyone on the island can recall. 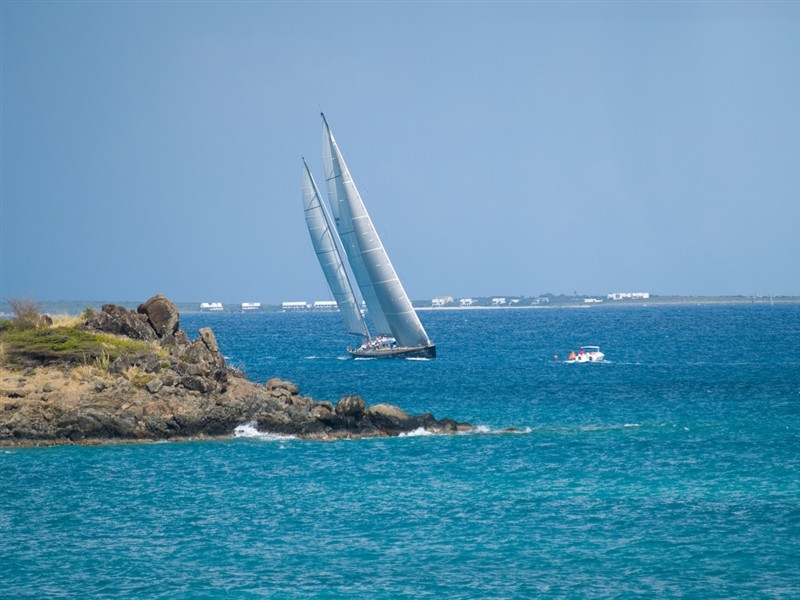 A short sail is what keeps you away from your last charter destination, the island of St. Martin. 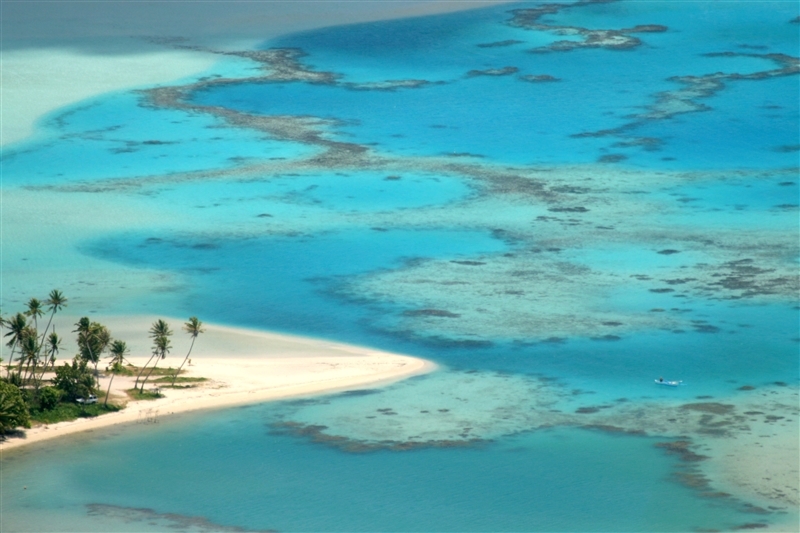 You will anchor off the beach in Grand Case on the island’s French side, the Caribbean’s gastronomic hub! It is not without a reason that this part of St. Martin is such a fabled culinary destination with its many restaurants ranging from casual eateries to Michelin five-star restaurants scattered around the village, whether you choose to dine and soak in the splendor of the beach or listen in to the hustle and bustle of this Caribbean suburb on the main street. Today is your last day in the Caribbean so after an early breakfast, it will slowly be time to head back home. 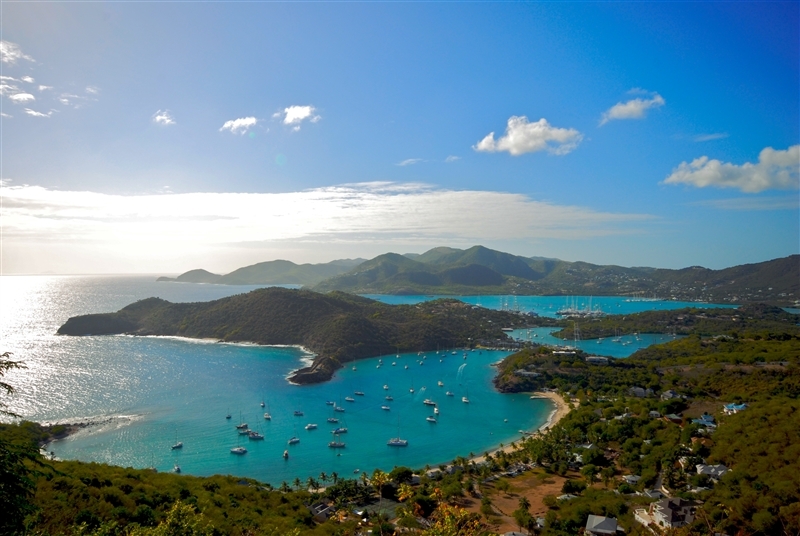 Cherish the last moments aboard your luxury charter yacht as it sails south to Lowlands and Simpson Bay, being the border between the French and the Dutch side of Saint Martin. From here you will have easy access to Princess Juliana International Airport operating regular flights to North America, Paris, the Netherlands and other Caribbean islands. Maho Beach in Sint Maarten is a must-visit for all guests to the island due to its proximity to the airport’s Runway 10, resulting in airplanes flying over the beach at minimal altitude. This thrilling tourist attraction without comparison will be the perfect way to end your luxury charter vacation in the Leeward Islands! After a memorable two-week vacation with Sunreef Yachts Charter, you will have enough energy to drive you until your next luxury charter holiday!